Bookride: Bruce Weber. 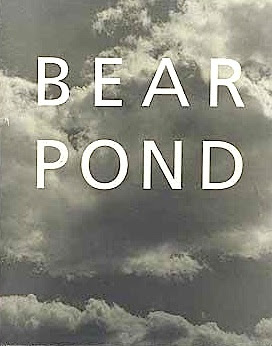 Bear Pond, 1990. Landmark collection of black-and-white photographs from the skull capped maestro of the gay, the fashionable and the rippling muscle. In the line of Horst, Hoyningen Huene and the ineffable George Platt Lynes. Weber did a lot of memorable advertising for Calvin Klein and pretty much established the new brattish image of the old firm of Abercrombie and Fitch. Weber's work is completely ignored by Parr in his essential, but earnest 2 vol 'The Photobook' -- Parr tends to eschew the fashion guys, the gays and the swinging London crowd--there is no Bailey, Beard, Beaton, Horst, Hoyningen Huene or Platt Lynes. What's that all about? Weber's 1986 'O Rio de Janeiro' makes it into Roth's 101 books. 'Rio' which has girls as well + a lot of Jiu Jitsu can be had in fine/fine for a little less than $1000.